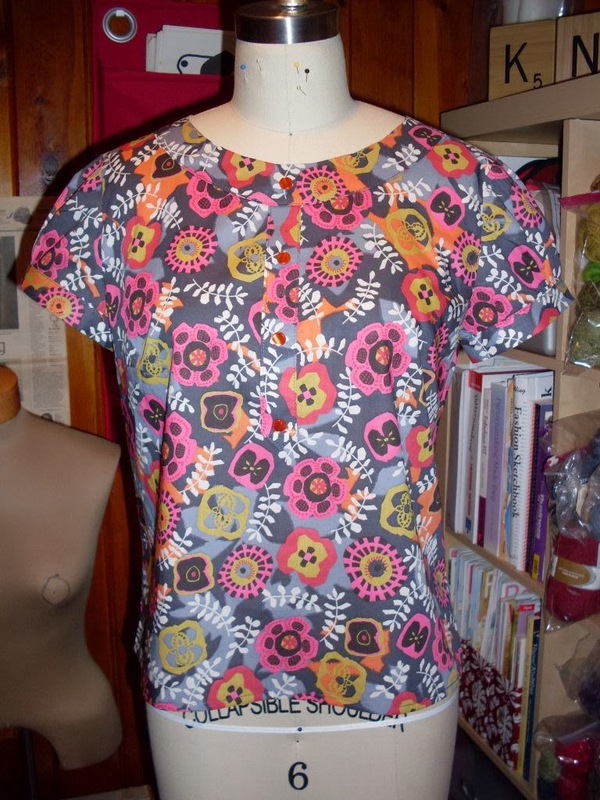 I haven't done much sewing lately, so to get out of my rut, I chose this Lisette Market Blouse. It was the perfect project: easy directions, fast, and gratifying. I started it late this afternoon and finished it this evening. 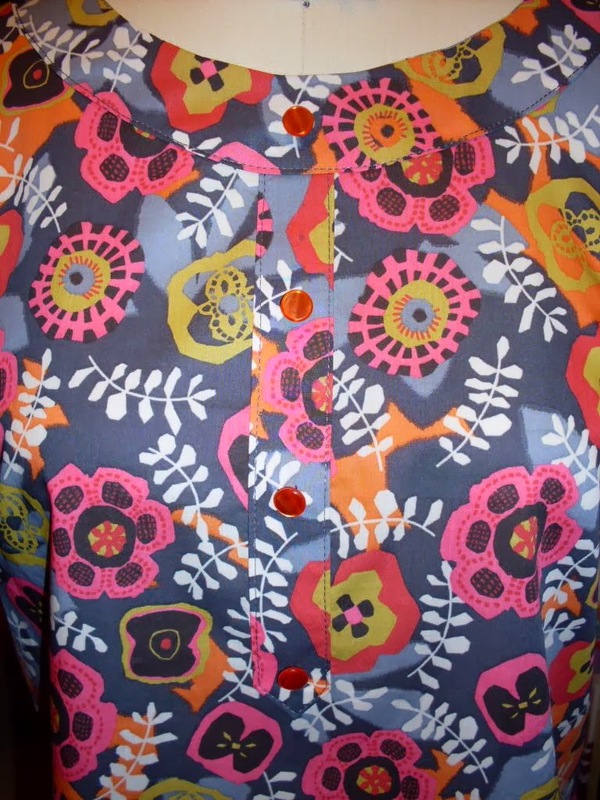 I used some Liberty cotton lawn that I bought on sale at Bolt a couple of months ago and some vintage buttons from my stash. I love that the blouse just pulls on, no fussiness. I love all the bright colors in the Liberty print too. Now it's time for the sun to start shining! Adorable! You're making me want to sew now...I love that fabric, though I thought it was Kokka or something like that when I first saw it. Liberty is making me love them even more.